Zinedine Zidane is not interested in the Manchester United job, according to his agent. Jose Mourinho kept the wolf from the door on Saturday as his side came from 2-0 to beat strugglers Newcastle United 3-2 at Old Trafford. But the Portuguese has been under severe pressure at United after a series of bad results and growing rifts with a number of players. Former Real Madrid boss Zidane has been installed as the favourite to replace him but his agent Alain Migliacco appears to have poured cold water on the story. “I don't think he'll go to England, it's not his style," Migliaccio told French newspaper Journal du Dimanche. "I've spoken about it with him and the truth is that it doesn't attract him." Love Sport verdict: An agent is a curious animal, and not one beyond duplicity. It is believable that Zidane, after the best part of three years in charge of the Real soap opera, might opt out of jumping straight back into an equally big job. However, his agent could easily just be driving up his asking price. Watch this space. Ex-#MUFC Striker @DanielWebber81 told @iandstone & @DickieLee on this morning's Comedy Breakfast that no-one in particular is to blame for United's horrific start to the season. Paul Pogba has decided to leave Manchester United even if Jose Mourinho is sacked, according to Mail Online. But Pogba may not necessarily get his own way. The French midfielder, who has repeatedly fallen out with boss Mourinho, was thought to have made the situation a matter of ‘him or me’ at United. However, the Mail Online report claims he has now decided to leave the club in January but that he has been told a January switch to Barcelona will be impossible. Love Sport verdict: Pogba is not the only one eyeing the door: Antonio Valencia, Ander Herrera, Andreas Pereira and Juan Mata have all been linked with a move away. Apart from all the Mourinho drama, Pogba wants to be winning the biggest trophies and getting paid the best wages. Barcelona looks like a better bet for that at present. The Express and Star reckon Thierry Henry aced his Aston Villa job interview and is the preferred replacement for sacked Steve Bruce. Villa had won just one in their last 10 when Bruce was dismissed last week and their poor form continued with a 2-1 defeat to Millwall under the stewardship of caretaker Kevin MacDonald on Saturday. 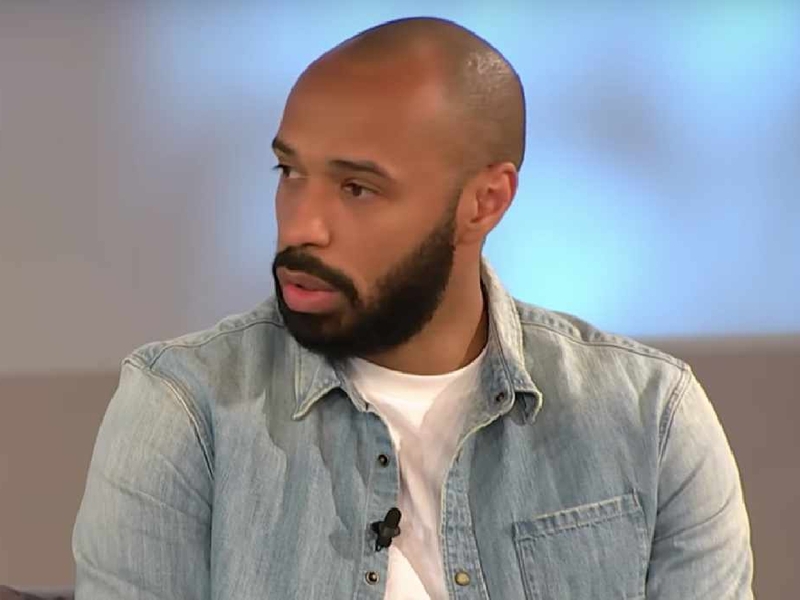 The club’s hierarchy are in the process of finding a new permanent manager and Henry, who reportedly verbally agreed to take the job in the summer, is being linked with a first appointment. The former Arsenal striker is said to be lining up John Terry, who retired from playing football last night after playing a season with Villa last year, as his assistant. Love Sport verdict: It’s massive call for the Villa board to go from a battle-hardened veteran like Steve Bruce to a rookie manager like Thierry Henry. However, the kind of money needed to extract Brendan Rodgers from Celtic (and the wages he would command) may be beyond the constraints of FFP. If Henry takes over, it’s a shot in the dark. Bradley Dack will once again be the subject of a bid from West Brom, according to The Sun. Blackburn rejected an offer of £7million for the 24-year-old in the summer and the Baggies are said to be ready to redouble their efforts to sign the attacker. Dack has long been one of the Football League’s most coveted players and in his first year in the Championship already has five goals in seven appearances. Love Sport verdict: Given how long EFL fans have been talking about Bradley Dack, it’s amazing he’s only 24. But he appears to have stepped up to the Championship with ease and would add serious weight to West Brom’s promotion bid.